We have services to fully handle the more complicated dental needs of our mature adult patients. Dr. Nguyen is very qualified to work on the teeth of seniors. She has advanced training in areas of dentistry that a mature adult might need. She is also an expert diagnostician who is very qualified to assess all aspects of your oral health. This includes your gums, teeth, bite and jaw placement. She will conduct a comprehensive oral exam and listen very carefully to your concerns to ensure your personalized treatment plan is precisely right for you. Dr. Nguyen and her friendly staff will do whatever it takes to put you at ease. They use advanced technology to provide you with a very gentle experience, comfortable care and top-quality work. Who are candidates for Senior Dentistry? What problems can be treated with Senior Dentistry? 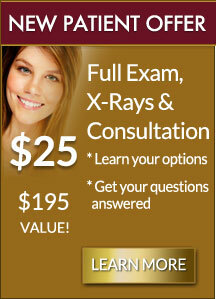 Dr. Nguyen will listen to you and show you all your options. Our staff make sure you are comfortable at all times.